Baby Signing is rapidly spreading across the nation. Parents everywhere are finding ways to communicate with their babies before they can talk. 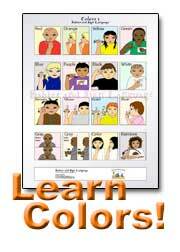 How does a parent who knows absolutely no sign language teach their child? Simple! With a Baby or Toddler Signing DVD. But, ugh, try going to any search engine and enter "Baby Sign Language DVD." 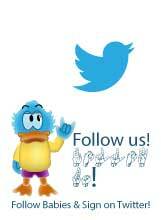 You may feel overwhelmed with the tremendous amount of websites and companies that come up. It is a fairly competitive business. Some of these sites promote others products (like Amazon.com), while other sites provide their own baby sign DVD. One common flaw that skeptics point out with any baby educational DVD is that they just dont work. At least not without parent interaction. A DVD, when used as a "baby-sitter," most likely will not help your child learn anything. It is imperative that parents, care-givers, or anyone watching the video with their child makes it an interactive experience. Some parents may not realize this, making it their first and biggest mistake in teaching their baby sign language from a video. You can find websites, by using your favorite search engine, that provide tips on how to utilize educational DVDs to make the most of the learning experience. It is very important that the source of the baby signing DVD is credible. If a DVD sign program that you pick has a website, be sure to check it out! See if the manufacturers provide any information relating to their product. Any case studies, testimonials, information on child development, and sign language on the website that can prove the manufacturers credibility and help guarantee a quality product. If the website doesnt provide information about the product you want, how can you trust their product will be genuine? Do your research! Every signing for babies DVD has its own unique perspective on baby sign language. Some feature Deaf adults, hearing adults, Deaf children, hearing children, and puppets; while others use preverbal signing babies as models. 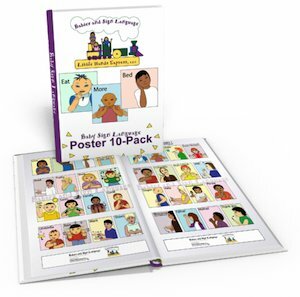 Take a look at the various styles each infant/toddler sign language DVD has to offer and go with your gut. You know your child better than these DVDs do! See which video will match your childs needs best. 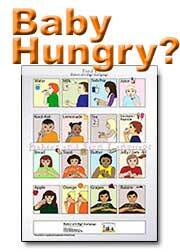 Here is some information on a few of the most popular baby sign language DVD results. You will also find some answers to commonly asked questions about these products, making your shopping a little easier! One of the first names mentioned by anyone when it comes to educational DVDs for babies are the Baby Einstein line of products. Signing Time! 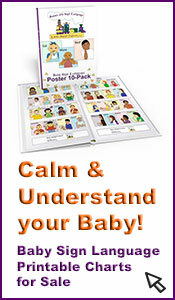 has a line of 20 baby sign DVDs geared toward teaching babies and toddlers different signs in different situations. These are already well-known and quite excellent for most parents and child care centers. This DVD provides daytime and nighttime signs, making for different activities and learning times for baby. This DVD has received somewhat mixed reviews. Good luck and please let us know how you like your baby signing video(s)!